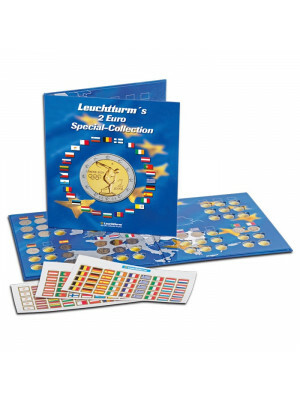 Lighthouse NUMIS coin sheets for 3 complete sets of Euro coins with space for the flag of the country. The coins are displayed to their best advantage in the crystal clear sheets with special pockets. 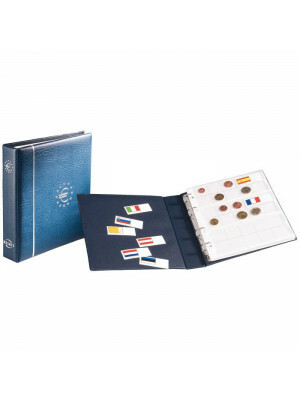 They allow you to systematically sort your coin collection and to combine all the pages in a NUMIS-binder. 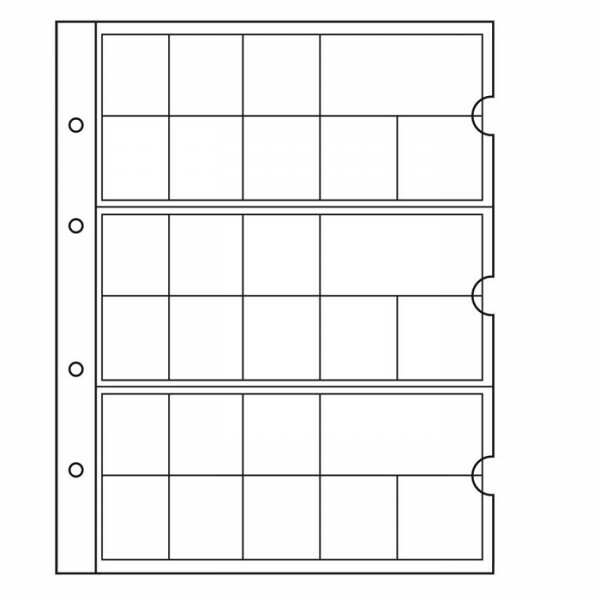 White card boarding interleaving offer attractive and contrasting seperation.